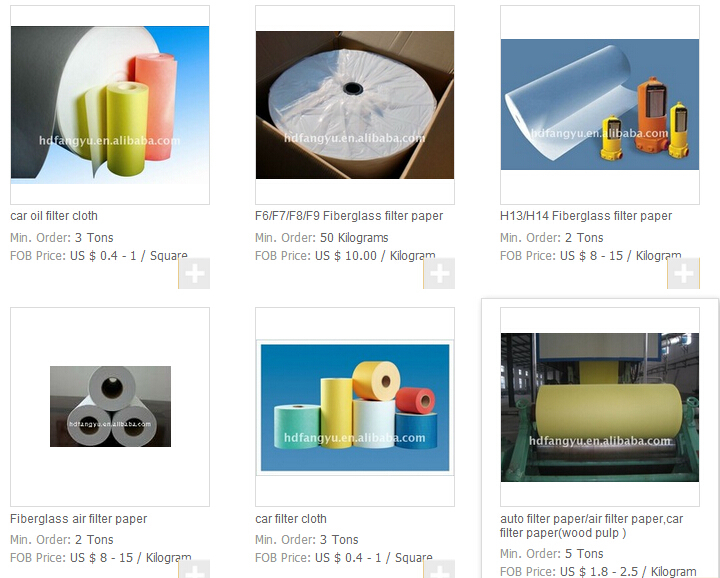 Product categories of Glass Microfiber Filter Paper of ASHRAE Grade(F6-F9), we are specialized manufacturers from China, Micro Fiberglass Filter Paper, Fiberglass F8 Air Filter Paper suppliers/factory, wholesale high-quality products of Ashrae Fiberglass Filter Media R & D and manufacturing, we have the perfect after-sales service and technical support. Look forward to your cooperation! Ashrae Fiberglass Filter Media are comprised primarily of glass microfibers and are produced with a wet laid process similar to those used for the production of paper. It's an ideal raw material to produce air filters. It's efficiency ranges from F6-F9 with low pressure drop and good strength. ASHRAE grades (F6-F9): ordinary air-conditioning system, gas turbine air intake, air compressor, etc.